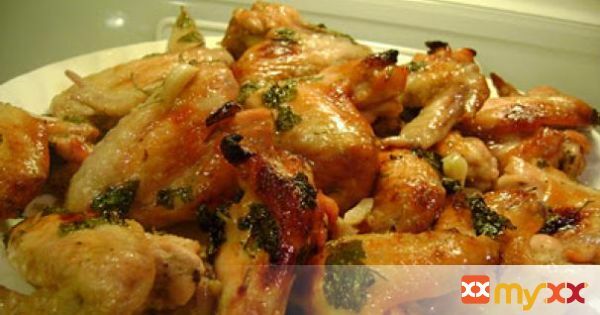 Recipes By Myxx - Baked Lemon~Lime Chicken Wings!! 1. Combine all of the ingredients for the marinade. 2. Add the chicken wings and place in the refrigerator for at least 1 hour or up to a few hours. 4. Place the chicken wings in a baking pan and spoon the marinade over the wings. 5. Place in the oven for 35-40 minutes until a beautiful golden color.